Great Care, Delivered. We care about the things that matter most to you — like the health of your patients, the satisfaction of your clients and the success of your practice. That's why we've organized everything we do around you, your clients and their pets. 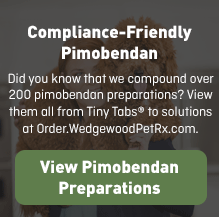 WedgewoodPetRx.com is your gateway to the many medications and services for veterinary professionals who have made Wedgewood Pharmacy one of the largest custom-compounding pharmacies in America. 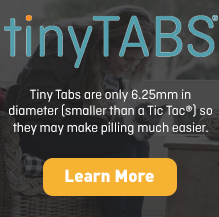 More than 30,000 prescribers turn to us every year for hard-to-find medications, unique compliance-friendly dosage forms in our line of DeliverEase® preparations like BitterBlock™, tasty, chewable Gourmeds®, low-dust Granules, fast disintegrating Medi-Melts® double-scored Quad-Tabs™, smaller-than-a-Tic-Tac® Tiny Tabs®, the Twist-a-Dose® transdermal gel applicator, the Twist-a-Taste® oral gel applicator, and more than 30 yummy flavors, from alfalfa to vanilla. It's easy to do business with us! You can search our entire formulary of more than 20,000 preparations for 250 therapeutic agents right here. Our consistent, professional packaging and services like refill reminders and printable client counseling materials help to improve your clients' loyalty. You can order or prescribe electronically, by fax or by speaking with one of our world-class customer care specialists. We'll let you know when your order ships — 95% of the orders we receive ship within one business day — and provide you with up-to-the-minute shipping information. You'll find competitive prices and quantity price breaks. If we can save you money in a way you didn't see, we'll tell you! Your unique needs are met. Do you need a special formulation? Our team of more than a dozen compounding pharmacists is ready to help. Would you prefer that we ship and bill to your clients? Just ask. Is a manufactured medication you need on back order or has it been removed from the market? Check here first. Do you practice a specific veterinary medical specialty? We're at your service. Can we provide some tips for improving client loyalty, improving patient compliance, controlling costs in your practice? It's our pleasure. Our business is all about meeting the unique needs of medical professionals, their clients and their patients. One prescription at a time. You'll improve your clients' knowledge and your patients' compliance. The rate of compliance for chronic medication is just 76%. That means an astounding 24% of pets aren’t being treated with the medications they need to live healthy lives — and in some cases, simply to live. Pet owners who are shown one or more ways to administer medication had a significantly higher rate of compliance (73% vs. 59% for those not shown). 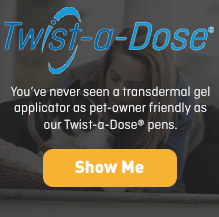 Yet, only 43% of practices show pet owners how to administer medication. 60% of owners would pay more for medication that is palatable or easy to administer. 93% of veterinarians say that compliance monitoring has a positive impact on their practice. Of course, you and your clients can turn to us for hard-to-find medications and unique, compliance-friendly dosage forms but we've also gone the extra mile by developing our extensive client and professional learning centers, as well as scores of professional monographs. ......to explore and take advantage of the wealth of resources that are right here at your fingertips. If you do not find the specific compounded medication, dosage form, flavor or information that you need, please call our customer care specialists at 877.357.6613.